EdPro Development, Inc. recognizes that your resources are limited. We will do whatever we can to meet your teams professional development needs. 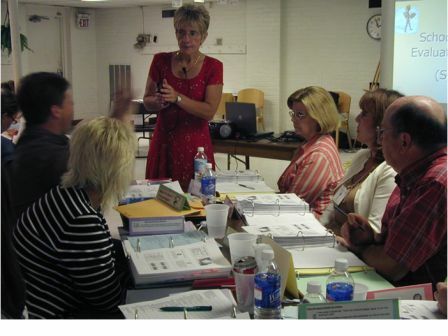 Our goal is to support administrators and educators in attending professional development activities. All we need is a comfortable space for those attending, tables in order to facilitate group activities, and the ability to project a presentation, which may include digital video clips. Administrators can collaborate and combine In-services to make attendance easier, and more affordable for schools or school districts. Participant materials are $15 per person. Our In-service fees are: One Day In-service (up to 30 participants): $1000 + travel expenses. Additional participants are $35 per person. Two days In-service (up to 30 participants): $1800 + travel expenses. Additional participants are $35 per person.